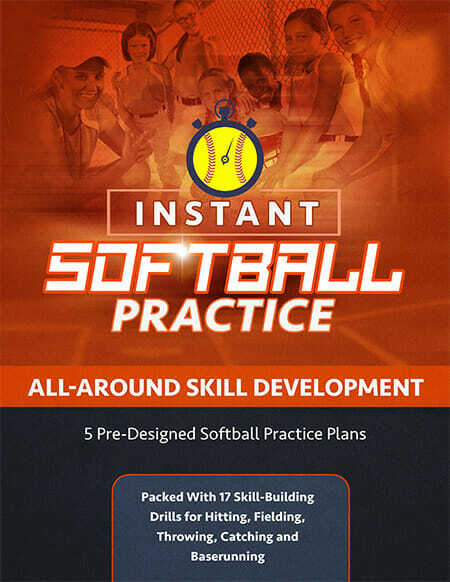 When it comes to fastpitch softball pitching, there are many various techniques and mechanics that need to be covered. Today, we’re going to talk about some of the basic mechanics and fundamentals. The technique that we’re going to use with regards to windmill softball pitching is supposed to be one of the most efficient as far as energy goes, meaning that you could pitch several games if needed. It also decreases the risk of injury when done correctly. 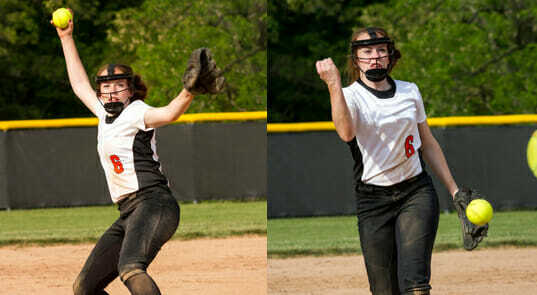 There are three really important things that you need to remember when it comes to softball pitching: the wrist snap, the hip close, and balance. You have to have all three of those in order to be successful at pitching. You also have to be very determined and practice a lot. Now let’s to talk about the position of the body. I’m going to explain the body in a full motion, in the open door position and in the closed position. In the open door position, imagine that you have a dot on both shoulders, a dot at your hip, and a dot at your other hip. When you face the catcher in the very beginning of your full motion, all four dots are facing your catcher. As you “open your door” for the open door position, you’re pointing your glove hand at your catcher, and no dots are showing to your catcher. When you do your backswing, open your door. Then when you get ready to slam the door, you come down, snapping at your hip. Slamming the door means you bring your hip through where both feet are facing the catcher and all four dots are back to the catcher again. And you’re in a defensive position ready for the ball to come back to you. It’s going to look like a full motion, close door, swing it back, open door, release the ball, close the door again–or slam that door, which is what we call it because we want explosion there. A lot of pitchers have a tendency to grip the ball too tight. This is a way that you can check to make sure they’re not holding it too far back in their hand so that it can come out with that momentum in that snap. What we suggest is that you use the backward C of the ball. They take their two fingers on the top, the thumb will be to the side, and the other two fingers are just laid across. They’re not really a big part other than just a guiding force in the pitch. The first two fingers and the thumb will be what pinches the ball as they get ready to snap. You pinch the ball and that’s how you get the ball out of your hand–it’s not a grip and a push. What I have the pitchers do is pull the ball up in the air, and if they can see a space between the bottom of the ball and their hand, they’re not gripping it too tightly. They can get that pop out of the hand in that snap. And when she comes down to snap, she’s actually going to pinch those two fingers and come through. The fourth finger is a guiding force. It will feel the seams a lot of times. It will be the one that gets the callous or the blood blister on it. And that means they’re throwing it right. If they get a callous or blood blister on their forefinger, that means the ball is coming out of their hand wrong. 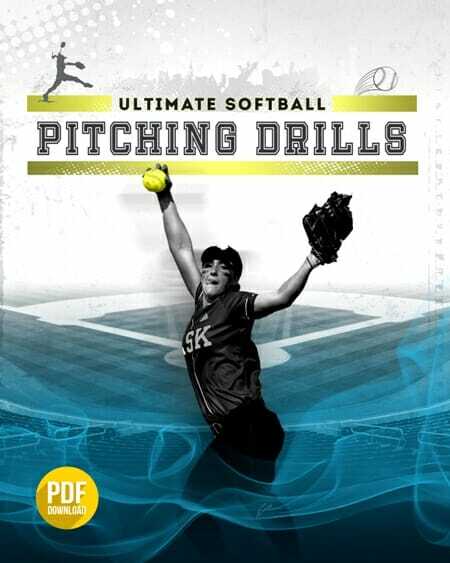 If you think your players would enjoy and benefit from going over these softball pitching mechanics, be sure to subscribe to my RSS feed so you never miss a post!